Organic food products are grown and processed without the use of any pesticides or food additives. Pesticides are often used by conventional growers to protect their crops from mold, insects and diseases. When farmers spray pesticides onto their crops, a residue can be left on the produce. Organic farmers use insect traps, predator insects or beneficial microorganisms instead to control any crop-damaging pests. Organic farming also severely restricts or bans the use of food additives, processing aids and fortifying agents commonly used in nonorganic foods. These food additives include: preservatives, artificial sweeteners, colorings, flavorings and monosodium glutamate. Organic farming practices are designed to encourage soil and water conservation and to reduce pollution. 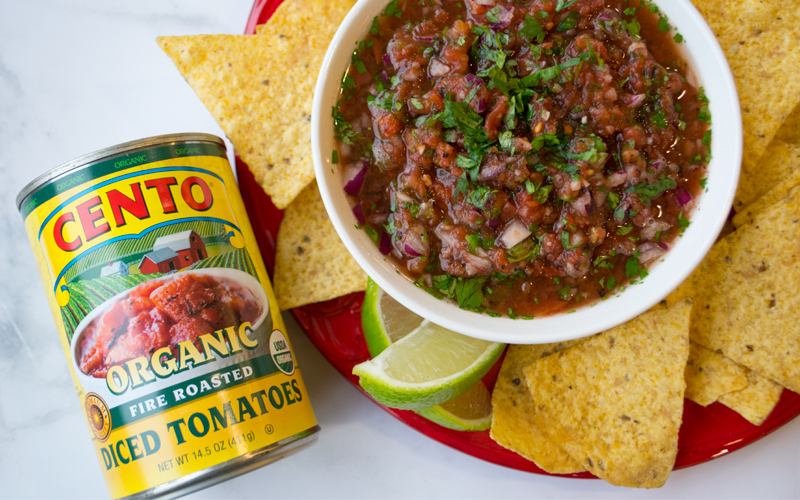 In order for a food item to be considered certified organic, it must meet all standards set by the U.S. Department of Agriculture (USDA) in the way it is grown, handled and processed; products must be made with at least 95% organically produced ingredients to use the USDA Organic seal. At Cento, we recognize the importance of sustainability and protecting our environment while still providing the highest quality natural products. Crop rotation, which is the practice of growing a series of different crops in the same area in sequenced seasons, helps reduce soil erosion, improve soil stability and increase crop fertility. Different crops require different nutrients from the soil and crop rotation helps land remain fertile by not using all of the same nutrients every season. We are continually looking to further our line of organic products, and all of our current organic products contain the USDA Certified Organic seal on their labels. 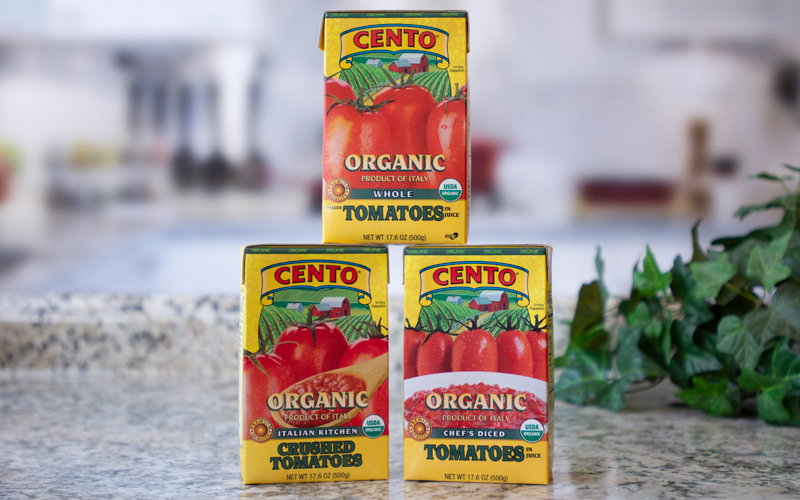 Click to learn more about our Cento Organic products. Click to learn more about our Bellino Organic products. Click to learn more about our Anna Organic products.